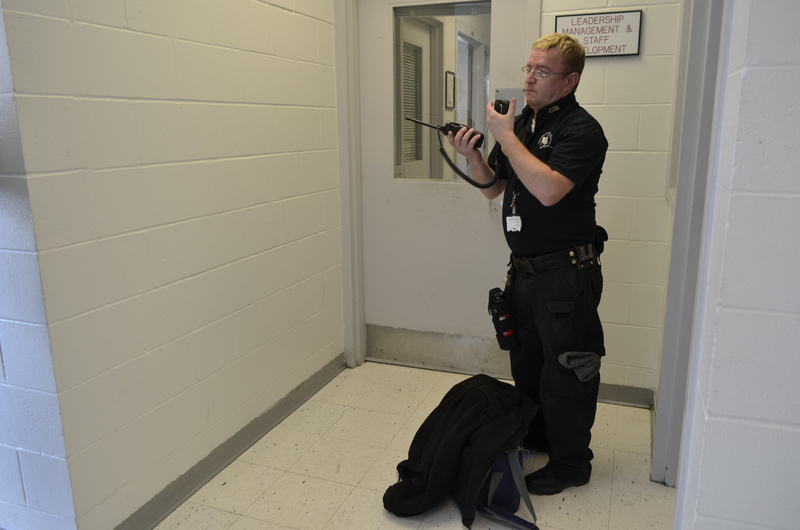 Case Worker Michael Galyen takes a radio call at the Nebraska Correctional Youth Facility (NCYF). Galyen has been with the Nebraska Department of Correctional Services (NDCS) since 2005. His main duties include monitoring population movement, helping porters with housekeeping plans and managing case files.